The story of NYC’s 1970s gang subculture and how it influenced the cultural phenomenon that is hip-hop. From 1968 to 1975, gangs ruled New York City. Beyond the idealistic hopes of the civil rights movement lay an unfocused rage. Neither law enforcement nor social agency could end the escalating bloodshed. Peace came only through the most unlikely and courageous of events that would change the world for generations to come by giving birth to hip-hop culture. 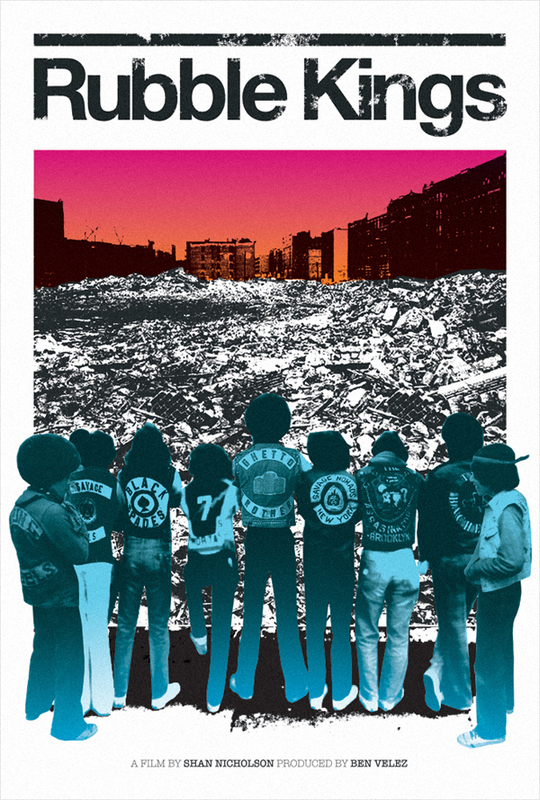 Rubble Kings, the most comprehensive documentation of life during this era of gang rule to date, tells the story of how a few extraordinary, forgotten people did the impossible, and how their actions impacted the world over. Rubble Kings is a feature length documentary about the New York city street gangs of the late ‘60s / ‘70s and their influence on hip-hop culture. Independent and self-funded, Rubble Kings needs your help! The movie is pretty much finished. Unfortunately we can’t release or show the film beyond festivals or private screenings because the music rights and archival footage must first be cleared. Being able to pay for the songs and footage in this film is crucial to telling this story accurately and in its truest form. Rubble Kings is filmmaker’s Shan Nicholson second feature length documentary. In 2009, Shan completed work on the critically acclaimed documentary Downtown Calling about NYC’s music and art scene in the late 70s. The film got an Honorable Jury Mention (Best Documentary Feature) at the Austin Film Festival and continues to draw audiences to private screenings. For both Downtown Calling & Rubble Kings, Director/Producer/Editor Shan, was inspired by the turbulent yet artistically rich period of his childhood in New York City. In Rubble Kings young adults take it upon themselves to move past the violence and help out their communities. It is a story of triumph amidst adversity that hits close to home. Rubble Kings continues to garner press and sell out screenings; most notably is a write up in Variety Magazine and screenings at The Tribeca Film Institute Youth Screening Series and HBO’s International Latino Film Festival. We believe this story is too important to go untold! Rubble Kings is a film about courage, hope and survival against all odds, even in the harshest of circumstances. The message is especially relevant today, a time when gang related deaths are at an all time high among inner city youths. The film’s most important goal is to touch and inspire today’s at-risk youth. Support Here: RUBBLE KINGS – A feature length documentary by Shan Nicholson & Cristina Esterás Ortiz — Kickstarter. 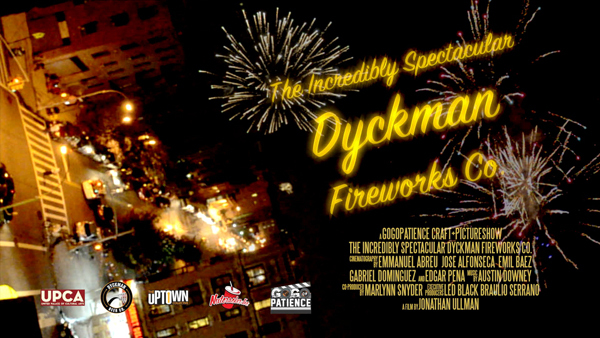 Epic Fireworks Blog: Long Live Dyckman Fireworks!